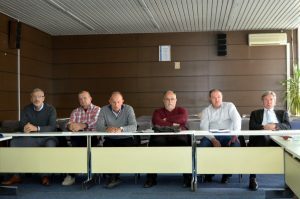 Within the KRIN project – Creation of a Regional Innovation Network, a joint meeting of sector boards of metal and wood processing industry was held. 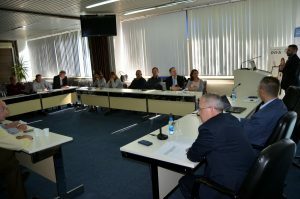 The meeting was attended by representatives of the RS Ministry of Industry, Energy and Mining, the RS Ministry of Science and Technology, the Municipality of Laktasi, the Faculty of Mechanical Engineering of the University of Banja Luka, the Chamber of Commerce of Republika Srpska, the Wood Cluster, Banja Luka and directors of companies from metal and wood processing industry. 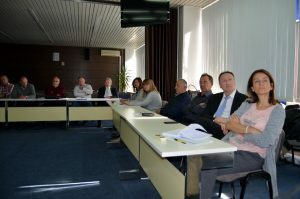 At the meeting, proposals for improvements in structure and work of sector boards, the KRIN project, as well as work plan of the sector boards within the project were presented. It was discussed about problems with labor force that companies are facing with, as well as about ways in which situation in this area can be improved. 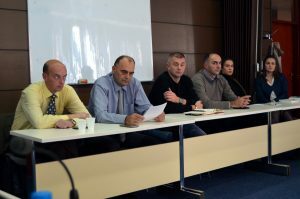 Also, the possibilities and modalities of better linking and cooperation between companies, as well as between companies and supporting institutions were discussed. Initiated activities to improve capacity for innovation will be continued in the upcoming period.